We have heard the story countless times before and sometimes our familiarity on the gospel strips it impact in our lives. “Yes, I know the story” “Yes, he died and rose again after 3 days” – we know these things and we can recount it to others without a moment’s thought, but really what is the implication of Jesus’ resurrection? How do we live out this truth in our lives daily? The two Marys then hurried away from the tomb and Jesus met them and told them to relay the message to His disciples to meet him in Galilee where He gave them the great commission. Jesus’ resurrection means that He defeated death and has regained His throne at the right-hand of God. He is the only Person in history to claim that He is God who is not buried somewhere and that truth alone means that He alone is worthy to be worship and praised. Being the Son of God means that everything in heaven and on earth is under His authority, and so when He gave us the great commission, our posture should be to obey the call like soldiers in a mission field. We are people in a mission and a purpose as followers of Jesus. I was talking to a 10-year old girl just last Sunday and I was telling her about Lordship -- that Jesus is not just the Savior of our lives but He is our Lord and Master. This is a very difficult topic, so imagine my struggle to come up with illustrations that will be simple enough for her to understand without diluting the truth. When we say that He is the Ultimate Authority, His instructions come first. We can picture other authority figures in our lives like our parents, teachers and even the government officials, but when God says something that is the total opposite of what those others are saying, we should follow God -- no matter how difficult or painful it may be. And the great part about being on God’s mission is that we know for certain that we will win and that should give us a victorious outlook in life: when the people we are discipling do not seemed to be growing yet, and when challenges start to look so much bigger than they really are, let’s take this to heart: We are already victorious in Jesus. We already know how this battle is going to end -- and we are on the winning side. Which of the 3 truths resonated to you the most in this season of your life? How are you running with the Great Commission that God has given us? 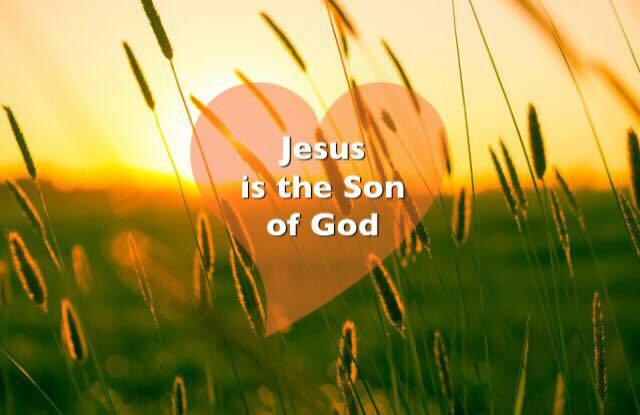 Pray for you to have the love and passion to obey God’s call in proclaiming that Jesus is the Son of God to others.